Jordan has many advantages to be a unique tourist destination due to its natural, historical and heritage sites. Based on Jordan’s vision of achieving an advanced position to become one of the top five countries in the world as a destination for therapeutic and hospitalization tourism, and its belief in strengthening the partnership between the public and private sectors to reach a professional industry in therapeutic and hospitalization tourism, Jordan’s Gateway to Medical and Wellness Tourism (MedXJordan) has been established to enhance Jordan’s position in the medical tourism sector on the global map. (MedXJordan); a technology-driven cloud-based portal which aims primarily to position the Hashemite Kingdom of Jordan with its Medical and Wellness Tourism to patients and others who are interested in medical tourism -such as facilitators, governments, insurance companies, and self-insured employers, to meet their health needs. 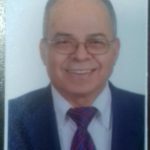 (MedXJordan) was launched with the aim of improving the quality of medical and healthcare services at all levels and ensure their sustainability as per their mission of ensuring that patients receive high quality health care services even after receiving treatment and putting patients in the first place. Jordan’s Gateway to Medical and Wellness Tourism (MedXJordan) is an integrated and comprehensive portal that meets all the medical, wellness and hospitalization needs, a unified center providing comprehensive information to medical tourism visitors across the world. The portal also includes a large number of accredited health facilities and experts in healthcare field a list of available prices enabling each patient to have a personal profile to which they can load medical records. As well as providing multidisciplinary system, that allows many doctors, clinics, hospitals and support staff to access patient records. To further assist overseas medical tourists, (MedXJordan) portal also has extensive travel information including visa requirements -if needed- and the option of booking both hotel stays and return flights through Royal Jordanian Airlines. 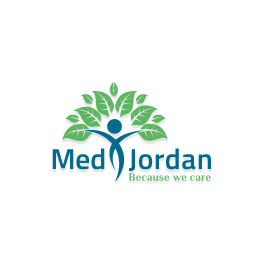 The availability of all services provided in Jordan -by our strategic partners on (MedXJordan) – grants the visitors who are seeking medical and wellness treatment in Jordan one platform that is easy to access to all needed information to a seamless journey to Jordan. (MedXJordan) aims to strengthen Jordan’s position as a brand in order to highlight its exceptional services worldwide in terms of medicine, wellness, hospitality, and logistics thereby increasing the efficiency of medical and wellness providers, and increasing the financial transparency through reviews, assessments and payment management options. 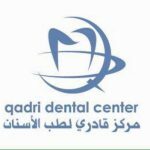 In addition to management to all medical and wellness services through international patient management options that include pre-counseling, treatments, post-medical assessments to patients, and improved reporting and analysis features to ensure continued monitoring and measuring results and efficiency. Easy access to information using information technology and social media. Medical and Wellness competitive offered prices comparing to competing countries. Competitive prices on airplane tickets and different logistics methods. Integrated services that meet all patients’ needs. Short waiting period for providing service. Legislative environment that contributes protection for patients. High quality health facilities and developed medical centers. Privacy of personal information for patients and medical services providers. Innovative communication tools with patients via Live-chatting, sharing reports, and uploading Radiography images electronically. Easy access to e-Visa for treatment.